You might be the type of couple who loves to go out for a romantic meal at Valentines, or you may enjoy having a romantic night in alone. Or you may not be into either of those things and you would prefer a fun night with your other couple friends with a couple of drinks and a laugh. Well if you are that type of couple then I have the perfect idea to make your night even more fun. 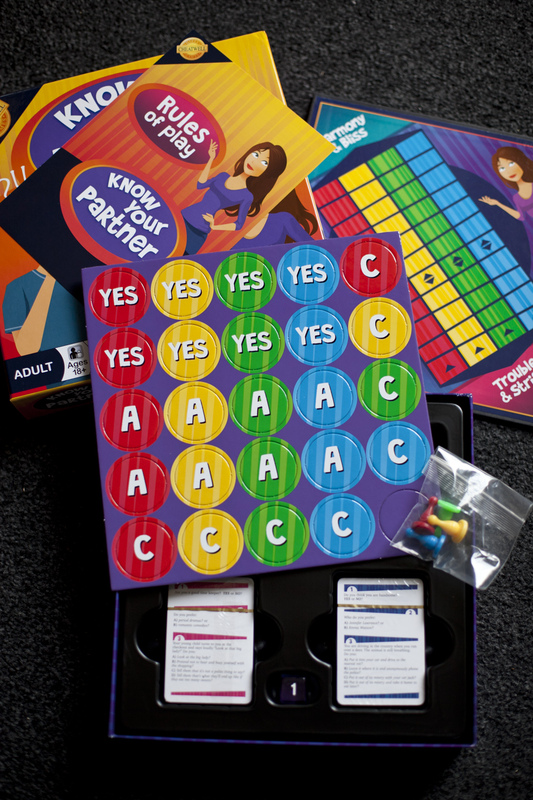 Why not get your self a couples game to play?? I can suggest just the one for you. I got sent a game called Know Your Partner by Cheatwell Games. This fun game is all about matching answers to score points and it comes with a fun little board game to expand the fun. It is all about how well you know your partner and puts your relationship to the test but in a fun way. The game needs at least 4 people to play, so 2 couples who play against each other. Then you roll the dice to see which of the questions you need to answer. The questions are super fun and have multiple choices as the answers. Some of the answers as so funny and I did have a good giggle at some of these. So if you are at a loss of what to do you Valentines, then why not concider buying this game. You can get if from The Gift Experience for £16.99. Would you play a game like this at Valentines? This looks great fun, lovely idea. No. We like to go out for a meal as a couple on Valentines. (Saint Valentine's, Feast of Saint Valentine's).